Theodore Laban was born on July 13, 1914, in Kenosha, Wisconsin. He enlisted in the U.S. Army on October 12, 1935, and was trained as an infantryman. Laban next trained as an aircraft gunner and joined the U.S. Army Air Corps on October 6, 1938. He became a Flight Engineer in January 1940, serving with the 95th Bomb Squadron in California, Washington, and Oregon before being selected to participate on the first strike against Japan in early 1942. Sgt Laban was the Flight Engineer on the eighth B-25 to take off from the aircraft carrier USS Hornet on April 18, 1942, and after bombing its assigned targets in Japan, the crew landed their aircraft in neutral Russia, where they were interned until escaping in May 1943. After returning to the United States, he joined the 496th Bomb Squadron of the 344th Bomb Group at Hunter Field, Florida, and went with the squadron to England in January 1944, where he served as a Flight Engineer on B-26 Marauders. 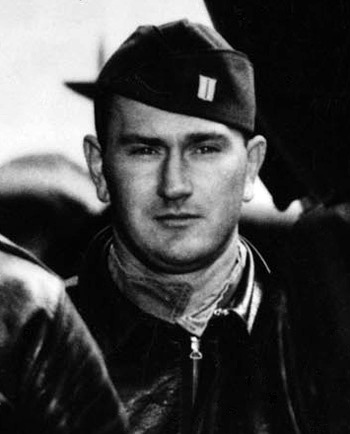 After the war, Laban served as a Flight Engineer on B-29 Superfortress and B-36 Peacemaker bombers, serving at Air Bases in the Philippines, Guam, California, Maine, and Texas. 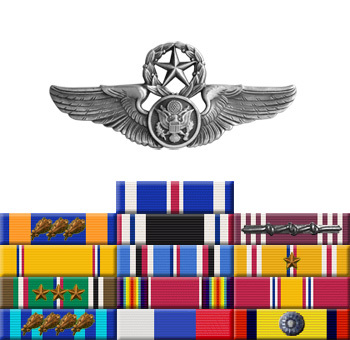 His final assignment was as a Flight Engineer with the 3513th Combat Crew Training Squadron at Randolph AFB, Texas, where he retired from the Air Force on November 30, 1956. Theodore Laban died on September 16, 1978, and was buried at the Highland Cemetery in Ozark, Arkansas. For extraordinary achievement while participating in a highly destructive raid on the Japanese mainland on April 18, 1942. Sergeant Laban volunteered for this mission knowing full well that the chances of survival were extremely remote, and executed his part in it with great skill and daring. This achievement reflects high credit on Sergeant Laban and the military service. 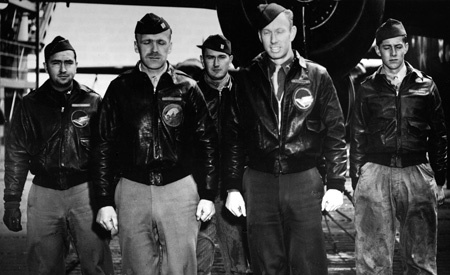 Crew 8 of the Doolittle Raiders, left to right-Lt Nolan A. Herndon, Capt Edward J. York, SSgt Theodore H. Laban, Lt Robert G. Emmens, Sgt David W. Pohl.